Our auto-flowering version of Critical Mass retains the highly psychoactive and characteristic fruity aroma of the most famous variety of recent years, but takes only 60 to 65 days to mature, a record time for the world's fastest Critical. 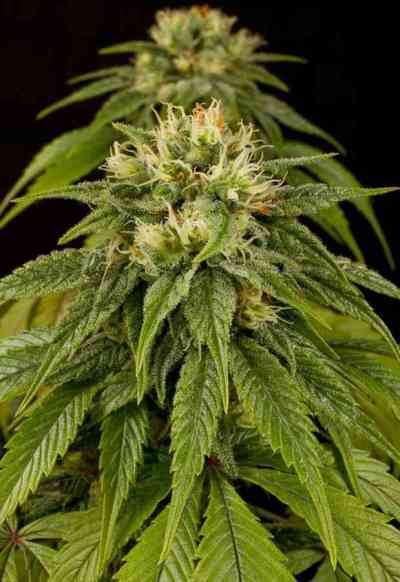 An easy to grow and very productive automatic plant that will delight every grower. The dominant phenotype results in medium sized plants that do not grow higher than one meter, with limited branching and most of the buds located around the central stalk. The most spectacular results are obtained by cultivating this variety with artificial lights in a Sea of Green (SOG) setup. The second Auto MASS phenotype develops in a more open and branched plant, producing large conical buds. The aroma is intense and very strong, while the flavor is reminiscent of a tropical fruit salad with an exotic spicy touch that is extremely tempting. Auto MASS is very resistant to mold, something surprising in a Critical strain but a big plus for this plant.